What is the hospital SUPER Ward audit tool? Super ward combines a range of concise, targeted audit tools designed specifically for ward managers to complete during daily ward rounds. If all the standards are met, you can be assured you have a SUPER ward that can demonstrate how your hospital ward addresses the key lines of enquiry for care quality commission (CQC) inspections. Daily Ward Rounds are an essential component of a hospital ward manager’s role whether they are working the the NHS, the HSE or in Private hospitals. They can assess patient case mix, review staffing, inspect the ward environment for Health & Safety issues, check patient care records and so on – basically checking for any possible risks and then mitigating them with immediate actions. The requirement to Audit has become another key part of the role of ward managers, eating into clinical time and creating an ever increasing burden on clinical staff. Auditing is a necessity as it provides standardised data on compliance and helps identify risks which can be used to drive improvements. But we need to make it easier, less time consuming and more real-time and we need to make the auditing process integral to the working day and not always something that’s done later, when time allows. SUPER Ward audit tool can capture the work being done by hospital ward managers daily AND support them in their goal for a perfect ward environment for patients, staff and visitors. Medical Audits SUPER ward audit tool can be used to help identify areas where action is needed and drive local ownership of quality improvement. 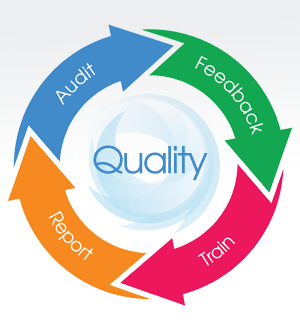 Medical Audits have been designing, developing and supplying Audit and Quality assurance software to hospitals, community care teams and Healthcare service providers for over 7 years across the NHS, HSE and Private hospital network. We are experts in healthcare. Our team comprises of Healthcare professionals with years of experience in clinical practice as well as a Software developers and Technical staff with expertise in designing software for healthcare professionals. 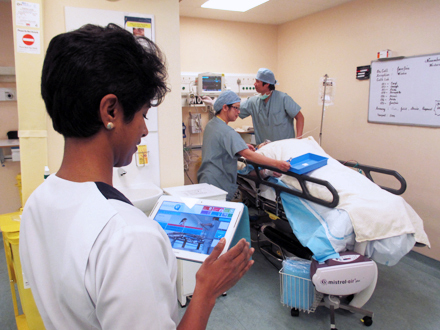 Our software platform has been bespoke developed for mobile auditing in clinical environments. We know Healthcare so we understand the challenges faced by clinical staff overwhelmed with the need to provide assurance of quality, evidence of compliance and data on non-compliances. We know you need software systems that will provide detailed analysis and tracking capabilities but have an easy to use professional interface and above all be reliable and keep your data safe. We have over 70 different audit and quality assurance systems ranging from Hand hygiene audit tools and cleaning audit tools to in-depth surveillance systems and clinical audits for sepsis management. Medical Audits hospital SUPER Ward software System is based on Best International standards, guidelines and legislation. Royal College of Physicians in Ireland Care bundles (2013). Health Protection Scotland care bundles (2013). Centre for Disease Control (CDC) guidelines and definitions (2012). EPIC 3 Guidelines on prevention of HCAI in England (2012). National Institute of Health and Clinical Excellence (NICE) clinical guidelines. We know every moment counts ... and we are committed to making sure every moment is an opportunity to teach, learn and ultimately improve practice and prevent harm.